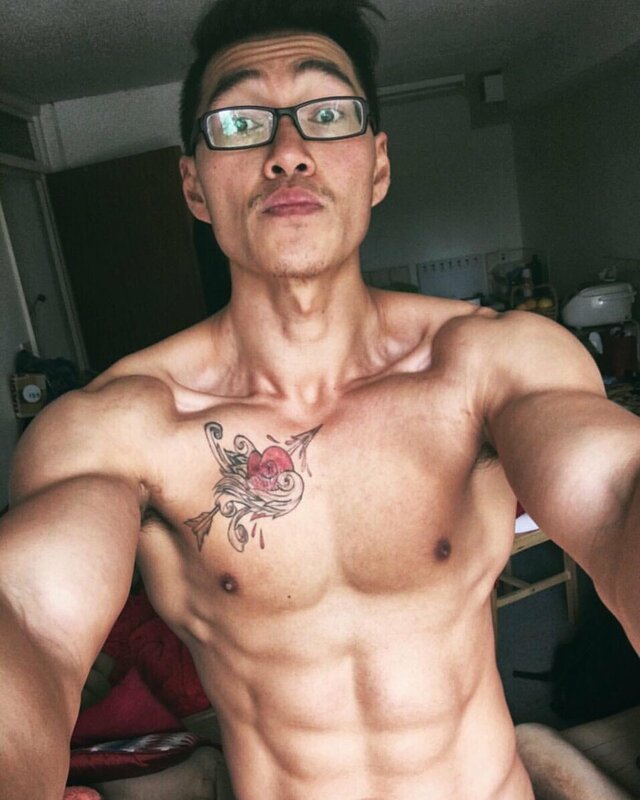 Are you that person who takes protein powder or protein snacks with you to your business trip or vacation? That is understandable. 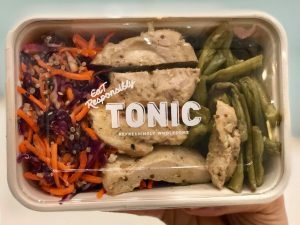 Unlike in the UK, where you can easily find your quick protein fix at the Holland & Barrett stores, travelling in Asia might be a bit tricky. 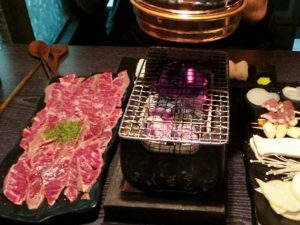 Restaurants in Asia have pretty healthy food in general, but they hardly give you any protein – lots of rice and vegetables, very little meat. First, let’s talk about protein. Protein is one of three main macronutrients that is in the food you eat (the other two are carbs and fats). Sources of protein include poultry, red meat, eggs, fish, nuts, milk and so on. But remember, eating protein doesn’t automatically make you ripped but eating enough protein is great for your health. Our bodies use protein to build and repair tissues. Protein is an important building block of bones, muscles, cartilage, skin and blood. So, if you are healthy and trying to build some muscles, 1.5g of protein per kg of body weight is a good target. 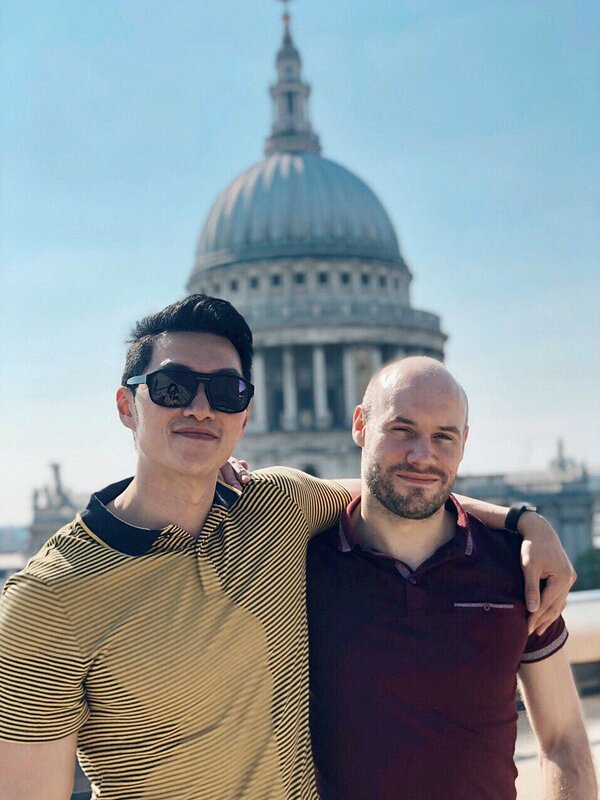 Now, let’s talk about travelling. 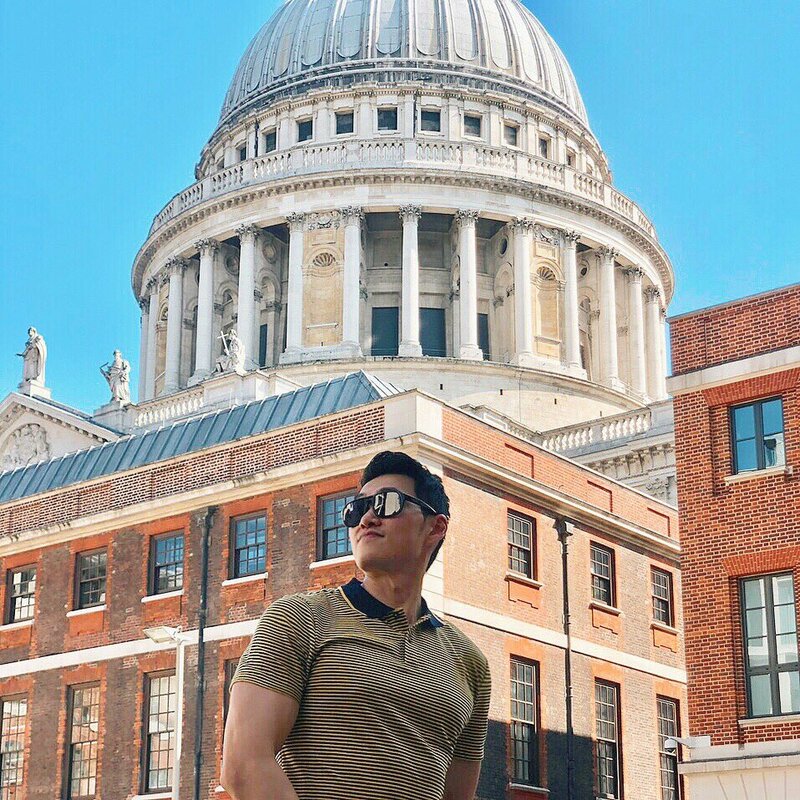 The problem with travelling (especially in Asia) is that by eating out, most of the food that is available out there are carbs and fats. So, it is really hard to reach the recommended daily protein intake. I have developed a few tricks through the years to keep my protein intake high while I travel. 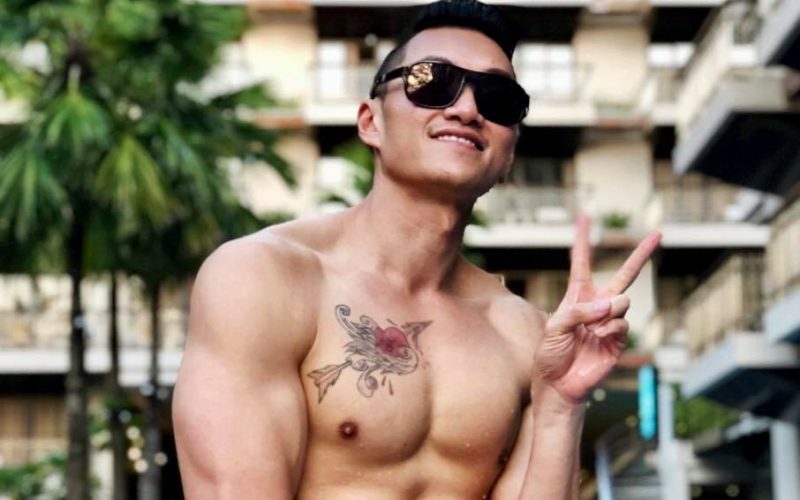 Here are my protein hacks on the road and the countries I would like to include are China, Japan, South Korea, Thailand and Vietnam. 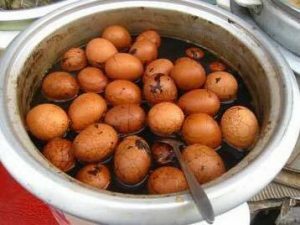 Tea Egg (a Chinese savoury food commonly sold as a snack). 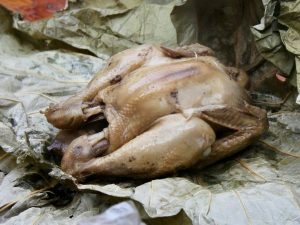 Beggar’s Chicken (Jiao Hua Ji). 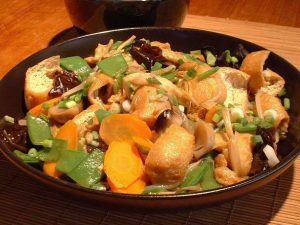 Buddha’s Delight (Luohan Zhai, served using vegetarian ingredients, such as steamed tofu or sweet bean curds). These can be easily found across the streets. Another tip is to skip the soup they offer in the restaurants as they are often high in sodium and try to request sauce on the side as this gives you the control over how much or how little you add. 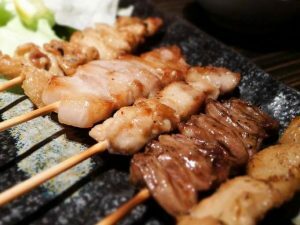 Yakitori (a Japanese style of skewered chicken). 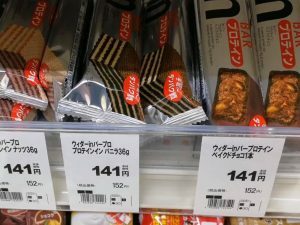 Weider Protein Bars or Jelly (which can be found in all drug stores across Japan). 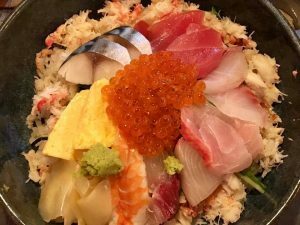 This does not mean that you should avoid eating ramen, okonomiyaki, tempura, katsu and tonkatsu (the list goes on) as you still need to enjoy yourself during your trip. 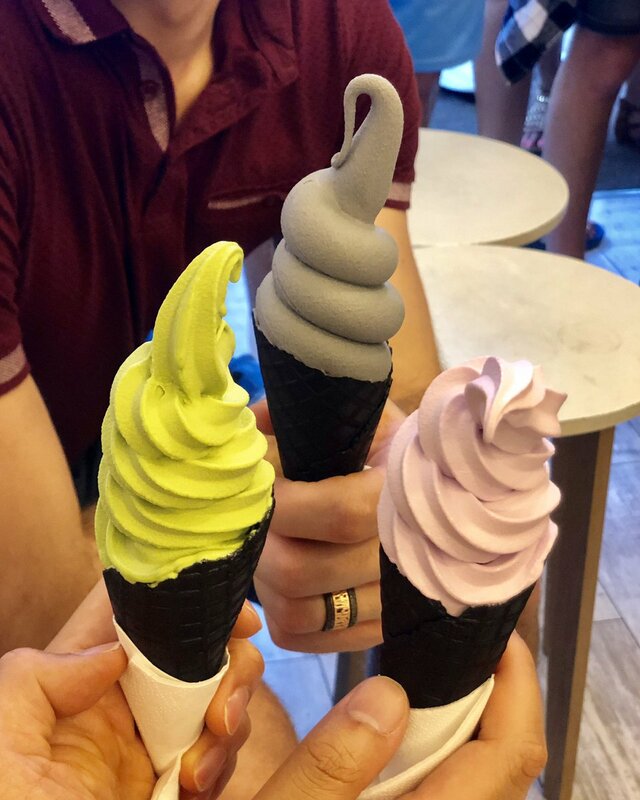 But if your jeans are feeling a bit tight, just know that there are plenty of healthy options out there you can easily access and try in Japan. 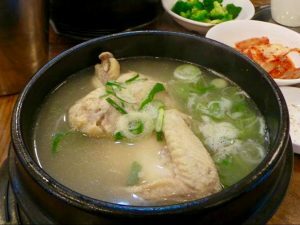 Samgye-tang (a ginseng chicken soup consists primarily of a whole young chicken, filled with garlic, rice and ginseng). 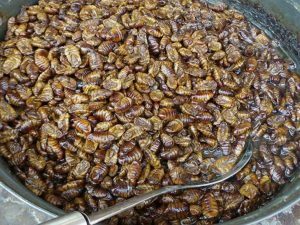 Beondegi (a Korean street food made with silkworm pupae) – only if you are the adventurous one! 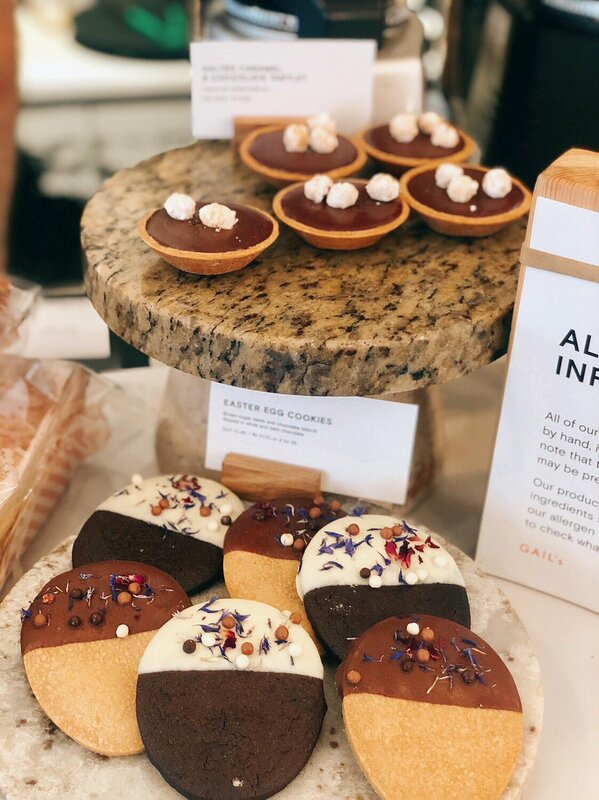 Of course, don’t forget to try Korean street food while you visit the country, have some treats to yourself with hotteok (stuffed pancake), tteokbokki (spicy rice cakes) and odeng (fish cake). 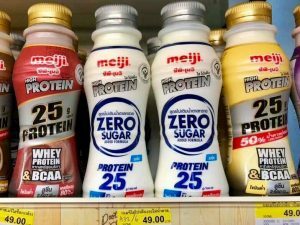 Meiji Protein Shakes (which can be found at the 7-Eleven and FamilyMart stores – P:25, C:10, F:3) – this only costs 49 Thai Baht (£1.15) and I was really pleased I found it! Tonic (this is not a food but a nutritious food vendor I found in Bangkok for my protein fix). 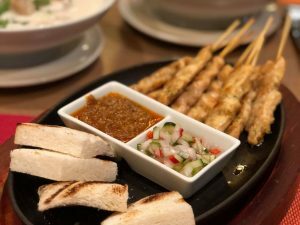 If you’re visiting Thailand, you should definitely try some of these healthy dishes: Pad Thai (stir-fried noodles, eggs and bean sprouts in a fish sauce), Mango Sticky Rice, Thai Curries, fresh coconut water and smoothies! 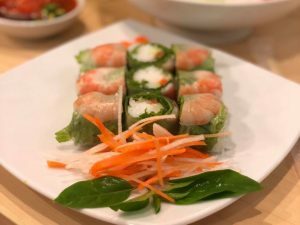 Goi Cuon (Vietnamese summer roll consisting of pork, prawn and vegetables rolled in rice paper). 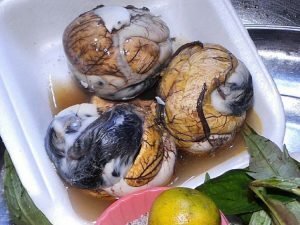 Hot Vit Lon / Balut (a fertilised duck or chicken egg with an almost developed embryo which is originated and commonly sold as street food in the Philippines) – only if you are the adventurous one! Drinking tap water isn’t recommended in Vietnam. It’s also advisable to avoid raw vegetables, fruits with edible skins and drinks with ice. Opt for cooked foods and fruits that need to be peeled instead. 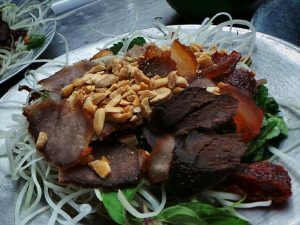 Also, I would definitely avoid eating dog meat there!